“This accomplishment represents the ingenuity of America and our international partners and it serves as a testament to the dedication and perseverance of our team. 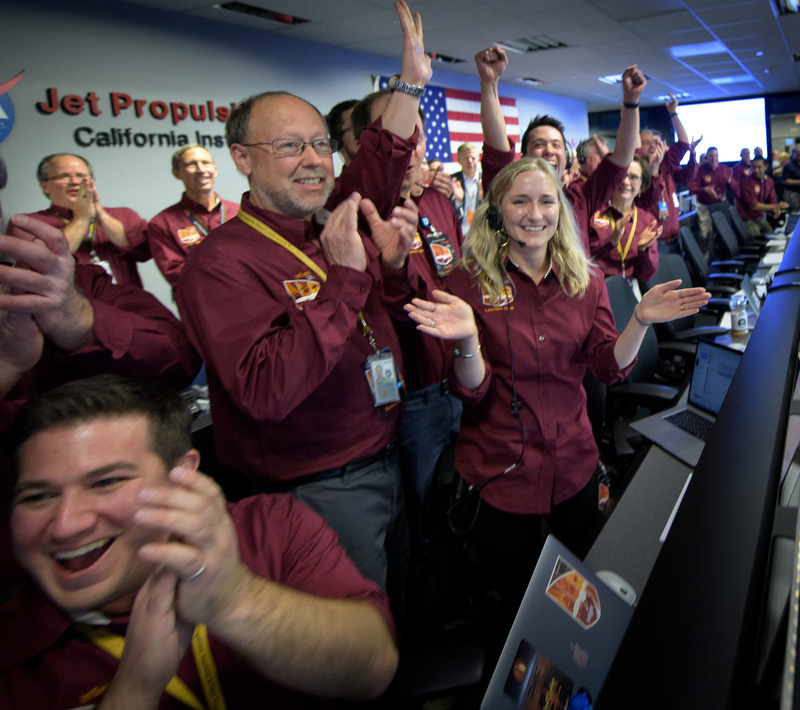 The best of NASA is yet to come, and it is coming soon,” Bridenstine said of the success of InSight’s landing on the Martian surface, according to a NASA press release Monday. “You ask what’s happening next? Right now, at NASA there is more underway probably than [since] I don’t know how many years past. It’s like there’s a drought and all of a sudden all these activities at once. So, we’re busy. We’re going to be working through the holiday — a lot of amazing discoveries to be made, and we’re looking forward to them,” Bridenstine said. Bridenstine views the Trump administration’s priority of returning to the moon as NASA’s first step to an eventual manned mission to Mars, Space reports. Trump’s memorandum from December 2017 states America will go beyond what the Apollo missions did by establishing a permanent presence on the lunar surface before going to Mars. Bridenstine indicated that NASA shows no signs of slowing down after Monday’s success.